When an IT user authenticates with a QuantaStor SDS appliance or grid of appliances, the password is verified and a second factor of authentication is made via Duo Security if enabled. BELLEVUE, Wash., Sept. 26, 2018 -- OSNEXUS, the leading developer of hyper-scale software-defined storage solutions, today announced the integration of Multi-factor Authentication into the QuantaStor Software-Defined Storage platform. Starting with the release of QuantaStor SDS v4.7 in October 2018, users will be able to use Multi-factor Authentication (MFA) in their storage grids with Duo Security as an additional security layer. Users may choose from multiple methods as a second factor of identity verification including SMS text message, push notification, or phone call. This second layer of authentication is in addition to the user's primary authentication check via username and password. "Multi-factor Authentication is especially important for customers in industries with special security compliance requirements such as finance, healthcare, and government," said Steven Umbehocker, CEO of OSNEXUS. 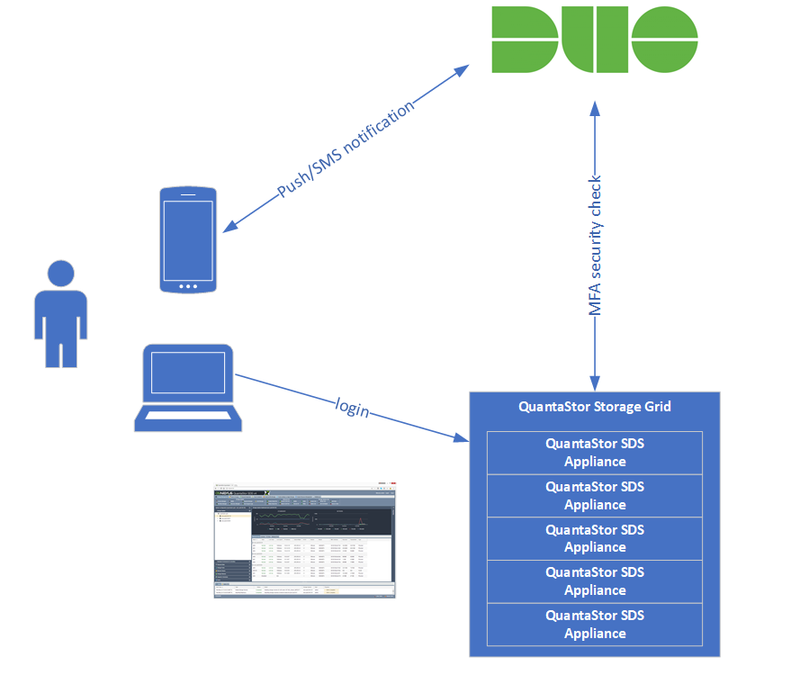 "With the integration of Duo Security into QuantaStor SDS, our customers now have an industry-leading Multi-factor Authentication option to further protect their QuantaStor storage grids." Duo Security helps defend organizations against data breaches by making security easy and effective. Duo Beyond, the company's category defining zero-trust security platform, enables organizations to provide trusted access to all of their critical applications, for any user, from anywhere, and with any device.